For seven days in May 2013, from early morning until midnight, the South Bank precinct will be transformed into a bustling parade of contemporary India. At the Nepalese Pavilion, a lone sitar player greets the dawn; an Indian Bazaar evokes the colours and fragrances of a Delhi market on the Forecourt; throughout the parklands and streets, bursts of Bollywood recharge the mind’s battery; the Queensland Conservatorium’s many spaces echo to myriad musical styles from more than 50 concerts and masterclasses. 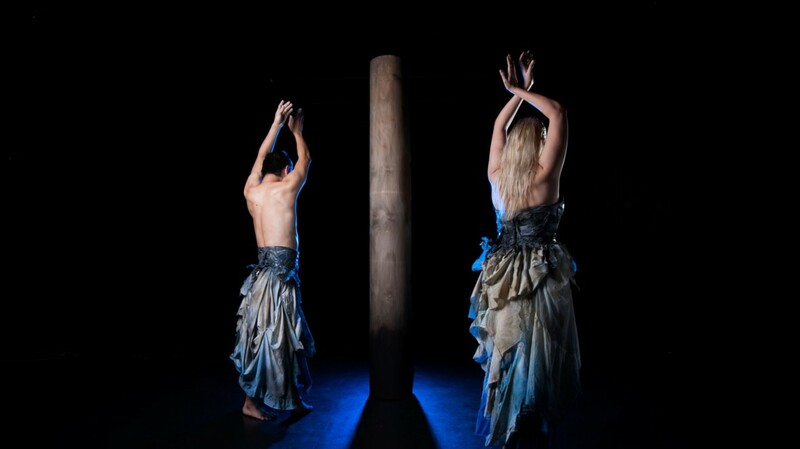 The DAM(N) Project is a large-scale interdisciplinary arts project that connects Australian and Indian communities around a common concern: water security. It presents the lives of remote communities in the Narmada Valley of North India, displaced by large-scale dam development securing hydropower for Indian cities. The construction of large dams on the River Narmada in India and its impact on millions of people living in the river valley has become one of the most important social issues in contemporary India. The project was conceived by Jehan Kanga and developed in collaboration with Leah Barclay and Shakthi Sivanathan, all from Australia. Dancers Meghna Nambiar and Sylvester Mardi from Attakalari in India have joined this group. Is this India’s greatest planned environmental disaster? The controversy over large dams on the River Narmada has come to symbolise the struggle for a just and equitable society in India. The story is long and complicated and will take a long time to tell. In brief, the Government’s plan is to build 30 large, 135 medium and 3000 small dams to harness the waters of the Narmada and its tributaries. The proponents of the dam claim that this plan would provide large amounts of water and electricity, which are desperately required for the purposes of development. The Dam(n) Project spans two continents and cultures to deliver a powerful message about the clash between a government and its people. Not all its people, just The Untouchables, the lowest of the low; the millions who live in the Narmada Valley region in North India. The Narmada River is India’s fifth largest (and largest west flowing) river, known as the “Life Line” of Madhya Pradesh. On full development, the Narmada has a potential of irrigating over 6 million ha (15 million acres) of land along with a capacity to generate about 3,000 Mega Watt of hydroelectric power. to advise for the proper conservation and development of forests, wildlife and fisheries in the Narmada Valley. The Dam(n) Project views a twenty-five year struggle through the eyes of outsiders, in loose doco style. We see the land, the immense body of water, and the faces of displaced people, and we gradually see the enormity of the problem. But everything is relative, isn’t it? There are more people who remain unaffected than there are those affected. Think of the Mary Valley, and so many other regions around the world. But people are becoming educated, aware of their rights, able to question the actions taken by those in power and willing to discuss possible solutions. Depending on your perspective, for better or worse, this is progress; it’s an awakening and a growing awareness of human and democratic rights that have been denied an entire section of the population. This year, it will be 25 years since the Narmada Bachao Andolan started questioning, organising and mobilising resistance against destruction of life and livelihood in the Narmada river valley. We actually might. But in the meantime, we will help to raise awareness, which I think is an undervalued part of the process of major change. I wasn’t angry after seeing this film, but I was deeply moved. And glad that my daughter had also seen it. She thought a lot of it was “spooky” and “scary” sounding. (And when we talked with Poppy about it, of course she totally got why it sounded scary and why there were trees in the middle of the lake. She said she would be happy to go there to help but how? What would she need to do? Get her fairies to help her get the river flowing again? I told her I’m not sure that’s possible, even with the help of her fairies, but we will find out). But because we are visual beings, the images are a vital part of the experience. Footage of children singing, smiling and clapping together is slowed and blurred while their voices carry on at speed. Two figures – a male and a female, together and apart – dancing on a boat, on gravel, on the concrete wall of the dam, moving fluidly and presenting, in all its simplicity, the past, present and future of the place. A female dancer breathing, turning, rising and exploring postures of the heart chakra and the sacred chakra, and the changed space around her, on the concrete surface above the dam. A landowner explaining the dilemma the dam has caused for generations of his family and neighbours. We watch him, animated and unrelenting, in triplicate across the screen, a projection screen set high, halved and shaped to look, appropriately, almost like a speech bubble. This little film has a lot to say. These are real stories, rarely told, and it’s because of the passion, dedication, and creative drive of artists and humanitarians like Leah Barclay, Jehan Kanga and Shakthi Sivanathan that they reach us. The next opportunity to get a glimpse of the latest stage of The Dam(n) Project – and you should – comes with the Balance-Unbalance International Conference and Floating Land at the end of the month.